Kim Chiu and Xian Lim first met when they starred together in the TV drama My Binondo Girl back in 2011 and continued to be paired as a love team in more series and movies. Off-screen, they spend important occasions and holidays together. 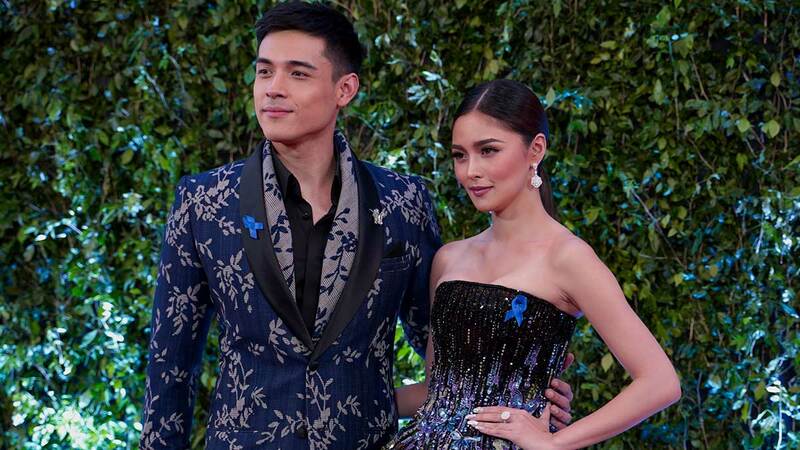 Despite the glaring signs that they are dating, neither of them have confirmed anything, with Xian even saying early this year, "Hindi talaga namin pinag-uusapan 'yon, yung score between her and me." But Kim finally broke her silence during an interview on Tonight With Boy Abunda. "Bakit nahihirapan kayo tanggapin na kayo?" host Boy Abunda asked her. At first, Kim seemed evasive to the question, but Boy gently insisted, "But you never said that. If I were to ask, 'Kim and Xian, are you officially together?' What is the answer?" Kim finally replied with, "Oo naman, oo naman. Oo, Tito Boy." "Is he the one?" Boy Abunda pried further. In all honesty, Kim said, "Hindi ko alam, Tito Boy...Wala sa isip ko 'yon ngayon."